This irregular shaped parcel of freehold land is situated to the east of the Axwell Park development to the south of the River Tyne and approximately one and a half miles from the A1. 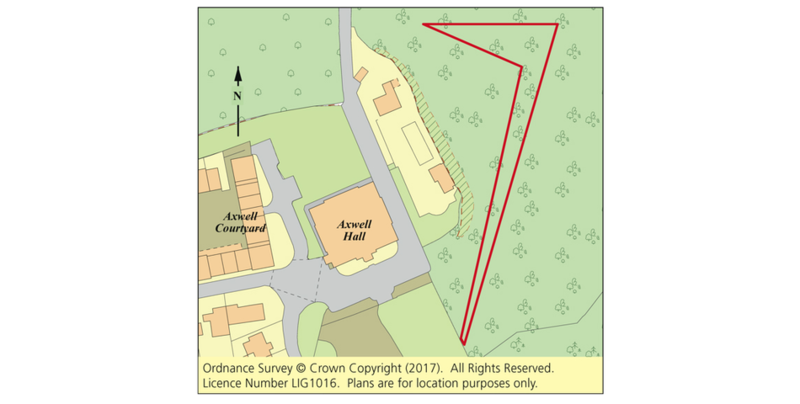 The land is sold subject to any tenancies, rights of way or conditions in place, but may offer potential for a number of uses, subject to the necessary consents being obtainable. Interested applicants are advised to make their own enquiries with the Local Planning Authority, Gateshead Council. Tel: 0191 433 3000. Website: gateshead.gov.uk. The site extends to 0.13 hectares (0.33 acres). Directly on site at any reasonable time, at the sole risk of the viewer. Care should be taken to avoid trespass en route.